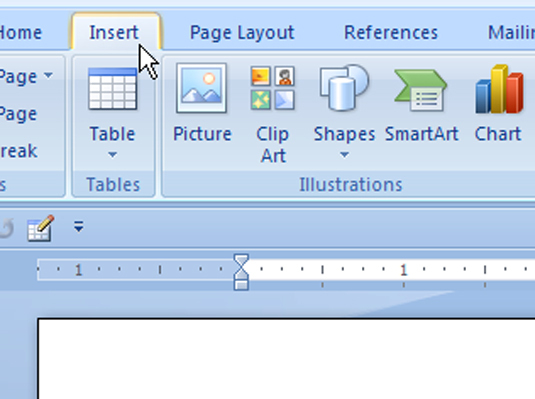 In Word 2007, you can format your document to begin numbering your pages at whatever page you choose. To format your page numbering, use the Page Number Format dialog box. 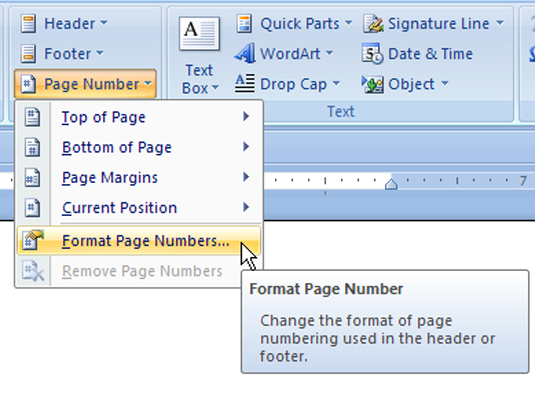 2In the Header & Footer area, choose Page Number→Format Page Numbers. The Format Page Numbers option is the second option from the bottom in the drop-down list. 3Click the Start At radio button and type the beginning page number in the box. This is based on your personal preference. Type where you want the page numbers to begin. 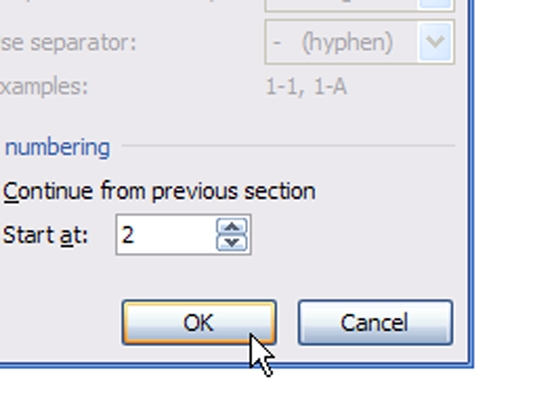 4Click OK to close the Page Number Format dialog box. 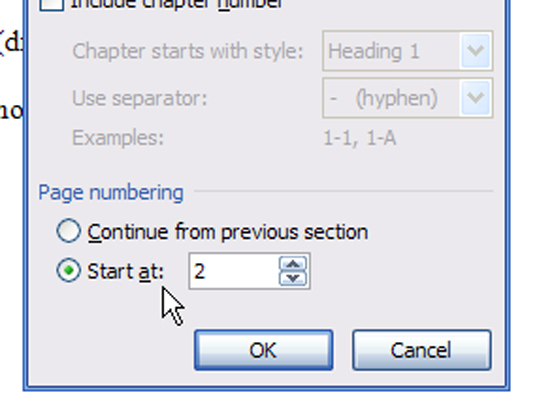 Word starts numbering your document at the specified page number.